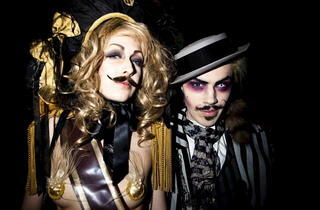 The steampunkish spectacle of costume, dance, music and cabaret is back with another massive bash. The theme this time is 'Twenty Thousand Leagues Under The Sea', and expect live music, curious vaudeville, vintage DJing with electro-swing to showtunes on the decks, interactive theatre and eccentric dressed-up characters across multiple rooms. Anarchic musical acts include MC Elemental, Dutty Moonshine and Balkan brass-meets-dubstep from Sam And The Womp, while there will be more neo-Victorian treats and vaudeville fun spread across all three rooms. Check www.whitemischief.info for the full line-up.